When my sister stayed over at Christmas, we wanted to go out as a family to explore the Yorkshire Dales. As most of you know, we get outside often and head out for walks when we can, however, my sister is in a wheelchair, which makes walks in the countryside slightly more difficult. We decided to head to our nearest reservoir, as I was aware that Yorkshire Water strives to make their reservoirs accessible to all. 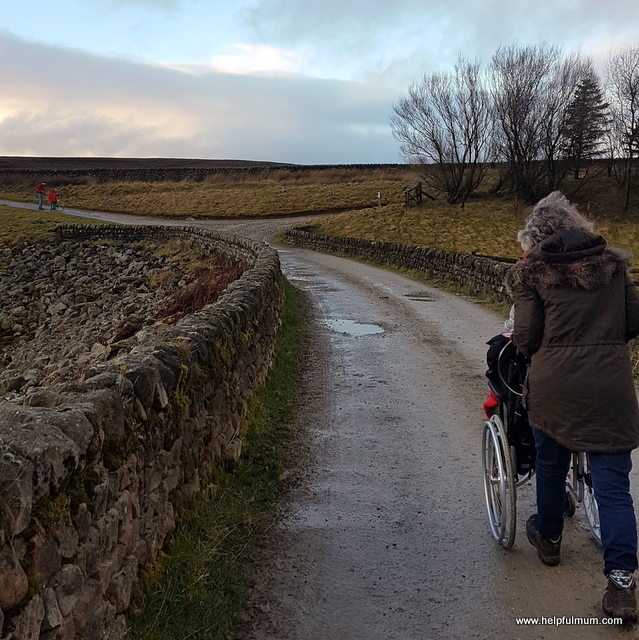 They have been improving sites around Yorkshire, in order to enable more wheelchair and mobility aid users to visit, meaning they enjoy these beautiful spots. We chose to visit Grimwith, which might have been a slight mistake, as it wasn't quite friendly enough for a standard wheelchair. I imagine that if you had a wheelchair with all-terrain wheels and tyres, then it would be far better. However, we had three fit and willing adults ready to push my sister around, and we definitely made the most of it. Grimwith is a stunning reservoir in a beautiful location. It's a relatively easy four mile walk, and my children have managed it for the past couple of years (since they were 5 and 7). I'm very passionate about keeping children active, so we're often out as a family. The development of accessible routes by Yorkshire Water is a welcome one indeed. Anything which make life more inclusive for those with disabilities is a step in the right direction. 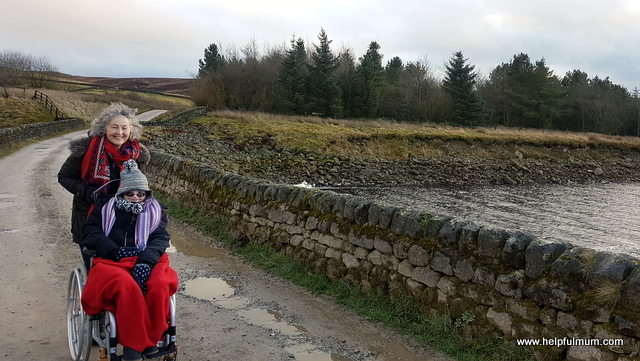 Yorkshire Water are working on improving the paths around reservoirs, ensuring they are flatter and that the surfaces are simple to navigate.Ultimately, they are hoping to open up countryside routes for disabled group rambles. This kind of development, which means that my sister can come with us on a walk in the picturesque countryside, is one that I wholeheartedly support. I love that she can come with us and not be left out because the terrain is impassable in her chair. 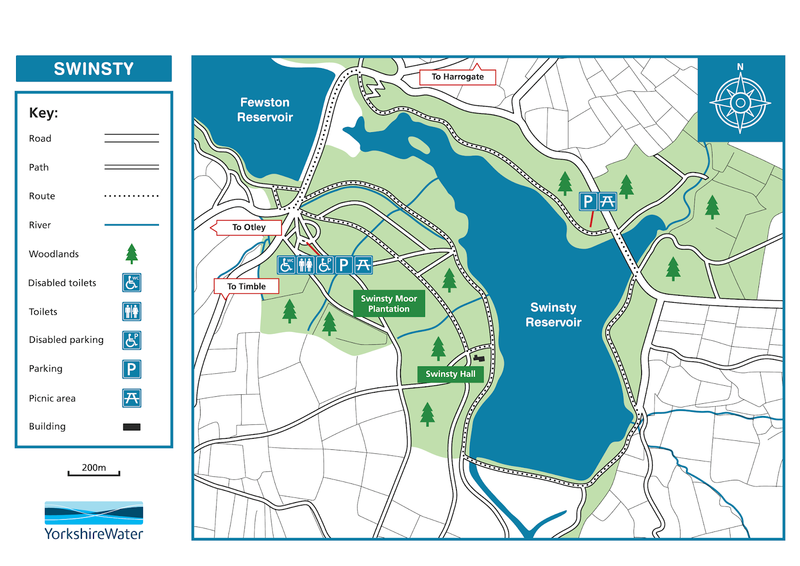 Next time my sister comes up to stay, I think we're going to try out the walk around Swinsty. It's meant to be accessible for all types of wheelchair, and I think it will definitely be a bit less bumpy for my sister as we walk around. It is such a privilege to be able to choose from so many different routes to go for a walk with someone in a wheelchair or using a mobility aid. 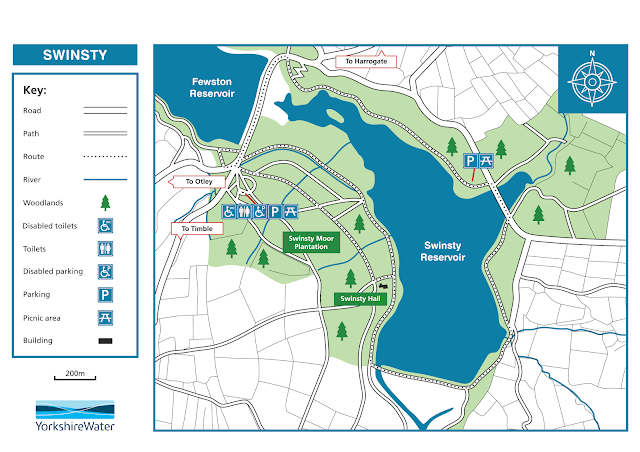 For more information about Yorkshire Water's accessible routes, check out their website. Disclosure - This post is in collaboration with Yorkshire Water.